In looking through my myriads of photographs that I've taken for house tours, design shows, etc, my favorites always seem to be the shots that I've captured through mirrors. It's always tricky to get just the right angle, but when I do, even ordinary scenes have a little magic to them. The photography experience has also trickled into my designs, as I've come to see mirrors not only as light enhances or beauty tools, but also as frames for beautiful living. The vignettes that they capture are important (almost like photographs themselves), and so well-placed mirrors have become one of my focuses regardless of the style of home. Those are beautiful shots. One thing I learned in school was that when hanging a mirror, always look from all angles to see what's being reflected. 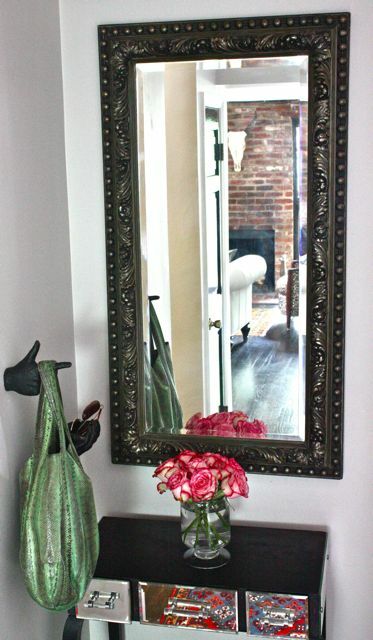 If it's something ugly you need to move the mirror. Good tip right? It's like looking into another world isn't it? You notice so many things in mirrors that you don't notice in real life. They're simply amazing. Awe love it as well just sent you a few pictures of reflections I shot, Glad you came out from under mommy duties to blog!!! 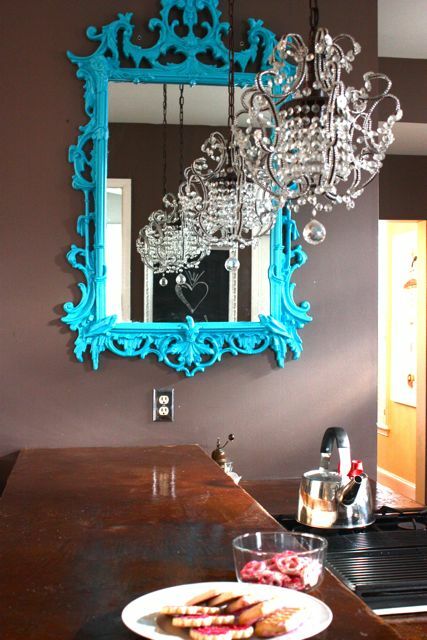 Mirrors are such magical decor pieces I love the first shot with the reflection of the funky chandeliers into the turquoise mirror with the elaborate frame!! 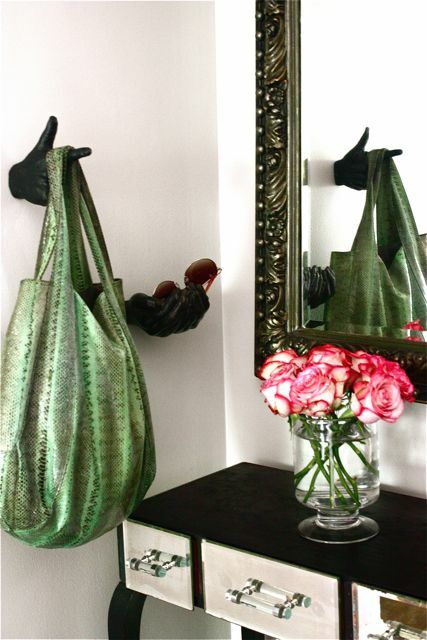 Love the turq mirror and the hand bag hook. So great! It's always so interesting to see what's refected of an interior space, you've captured some fantastic images! Fun Leah! 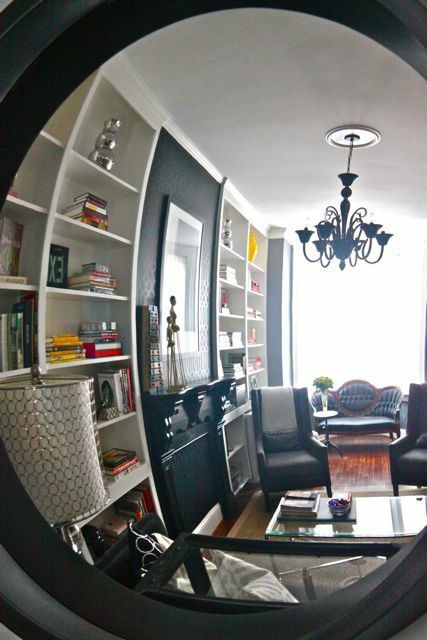 Love Zoe's tour, I have seen it before, but enjoyed revisiting....and what can I say about Hallie that you haven't already....love the shot of the covex mirror in her living room--so GREAT! Love it Leah! 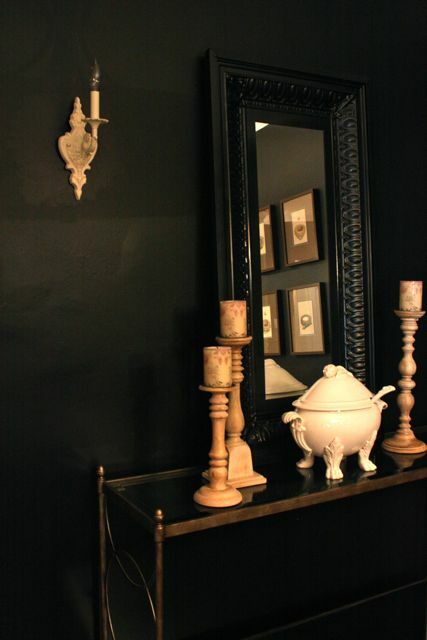 Mirrors are such a great way to give a space a quick new update and add light, you have inspired me (once again) to go through my house and see where I can add more mirrors, and fantastic lighting! I love the brick reflection in Zoe's home, and the painted mirror in Saule's is jut ridiculously fabulous! I really enjoyed this full house tour and found some great luxurious things. I love the Mirrors in first shot and the funky chandeliers. Your work is really appreciative. Thank you for your impressive work to keep our home more good looking and stylish.